The subject made modifications in diet, anabolic-androgenic steroid administration, and exercise strategies depending on body composition calculations. Precompetition pharmaceutical, dietary, and body composition data is presented in table 3. The subject consumed an estimated daily average of 5699-7281 kcalories throughout all periods. Throughout all periods the percentage of calories from foodstuffs consisted of; protein: 19%-28%, carbohydrates: 51%-58%, fats: 19%-30%. Meals were usually spaced approximately 2.5 to 3 hours apart. The greatest lean body weight gain was seen the first ten days. The lean body mass gain of 8.9 lbs (0.988 lb / day) was undoubtedly due to the introduction of drugs. Oxymetholone (Anadrol) was used in this period with an average administration of 55.6 mg / Daily for approximately 9 days. A substantially smaller gain in lean body weight was seen in the second period consisting of approximately 14 days. The gain in lean body mass was only 2.9 lbs (0.207 lb / day). Beginning two days preceding the period, an average of 62.5 mg of Oxymetholone (Anadrol) was taken for four days. Also beginning the same time, 300 mg of Boldenone undecylenate (Equipoise) was administered every week. An average daily dosage of 60.7 mg / day was taken with both drugs combined. The third period reflected an acceptable gain in lean body mass when both Boldenone undecylenate (Equipoise) and Oxymetholone (Anadrol) were administered at an average dosage of 78.6 mg / day. Beginning two days preceding the period, 300 mgs of Boldenone undecylenate (Equipoise) was administered every week and an average of 35.7 mgs of Oxymetholone (Anadrol) was taken daily in descending fashion ranging from 50 mg - 7.5 mg . In 14 days, 4.5 lbs (.321 lbs / day) in lean body mass was seen. A gain of only 1 lb (.066 lb / day) in lean body mass was seen in the fourth period of 15 days. Three days preceding this period, suspected counterfeit Testosterone cypionate (Depo-Testosterone) and Nandrolone decanoate (Deca Durabolin) were administered. According to the concentrations indicated on their labels, 600 mgs. of Testosterone cypionate (Depo-Testosterone) and 175 mg of Nandrolone decanoate (Deca Durabolin) was administered. The subject felt and saw no effect after the first week then proceeded to administer 50 mgs of Stanozolol (Winstrol-V) every other day until the end of the period. Despite the greater than average dosage of Testosterone cypionate (Depo-Testosterone), the average daily dosage of all drugs in that period was only 65 mg / day. The fifth period lasted only 6 days. Three days preceding the period, 650 mgs of Boldenone undecylenate (Equipoise) were administered over three days, since one syringe could only hold 3 cc, or 150 mgs, only .4 lbs (.06 lbs / day) of lean body weight was seen with 108.33 mg / day of Equipoise. The sixth period, lasting 8 days, yielded a larger gain of 3.2 lbs (.4 lbs / day) in lean body mass. One day preceding the period, 100 mgs of Oxymetholone (Anadrol) was taken all but one day in which 50 mgs of Fluoxymesterone (Halotestin) was replaced out of lack of a reliable supply. So, an average of 87.5 mgs / day of Oxymetholone (Anadrol) and an average of 6.25 mgs / day of Fluoxymesterone (Halotestin) were taken during this period for a total of 93.75 mgs daily for both drugs. A greater dosage of Oxymetholone (Anadrol) was taken in the seventh period that lasted 7 days. Beginning three days preceding the period, 150 mg of Oxymetholone (Anadrol) was taken daily for the first 2 days proceeded by 200 mg of Oxymetholone (Anadrol) daily thereafter. A gain of 3.5 lbs ( .5 lbs / day) of lean body mass was made from an average daily dosage of 178.6 mgs of (Oxymetholone) Anadrol. The eighth period lasted 8 days. Two days preceding the period a daily average of 162.5 mgs of Oxymetholone (Anadrol) was administered daily in descending fashion for the full duration of the period. A loss of 1.5 lbs (-.188 lbs / day) of lean body weight became the result. A loss of lean body mass was also characteristic of the ninth period lasting 6 days. The day of the period, an average of 54.2 mg of Stanozolol (Winstrol-V) was administered daily throughout the period. Fluoxymesterone (Halotestin) was also taken the first three days in descending fashion, averaging only 15 mg for these few days. The average daily dosage for both drugs was only 61.6 mgs. A total of 2.6 lbs (-.433 lbs / day) of lean body mass was lost during this period. The dosage difference from the previous week did not seem to be significantly reduced. Suspicion may be placed on the characteristics of the descending drug program. The tenth period lasted 7 days. Beginning the day of the cycle day, an average of 57.1 mg of Oxymetholone (Anadrol) and 57.1 mg of (Stanozolol) Winstrol-V were taken daily throughout the period. Also beginning the same time, 50 mg of Primobolan Depot was administered for 5 days. Methenolone enanthate (Primobolan Depot) was taken daily in this manner out of convenience despite its longer acting quality. An average daily dosage of 157.1 mg of drugs were taken during this period. As a result, 4.8 lbs (.686 lbs / day) of lean body mass was obtained. The eleventh period lasted 7 days. Beginning the day of the period, an average of 114.3 mg of Oxymetholone (Anadrol) was taken daily. Also beginning the same time, 50 mg of Stanozolol (Winstrol-V) was taken daily except for the second and third days of the period. A daily average dosage of 150 mg was taken from both drugs. A loss of 1.6 lbs (-.229 lbs) of lean body weight was the result. No Drugs were taken after one day before the physique competition. This was done because Anadrol taken preceding the show was thought to contribute to subcutaneous water retention. No other drug was taken due to convenience and the relatively small contribution an administration was thought to have the day preceding the show. Since fat reduction was not as great of a concern the last week, the total caloric intake was increased slightly in attempt to allow adequate calories for recovery and increased glycogen stores. Resistive training was stopped four days before the show in effort to restore glycogen in the muscle. Walking and posing practice were continued. Posing with the aid of a mirror was greatly reduced. Walking was used more as a means of stress management than fat burning activity in the final days before the show. Three days before the show, an effort was made to reduce food volume and maintain an elevated caloric intake by eating less more often in order to reduce abdominal circumference caused by intestinal volume. In addition, foods suspected of causing gas and minor food allergies were eliminated. Foods containing added salt were discontinued two days before the show in an effort to deplete subcutaneous water. Timing was crucial at this point since it was feared that a premature sodium depletion would trigger negative feedback from the body's receptors resulting in a retention of sodium by the body. Tap water was also replaced by distilled water two days before the show to ensure a reduced sodium intake. Posing was increased two days before the show in an effort to expel subcutaneous water. Water intake was increased the day before the show in an attempt to inhibit Anti-diuretic Hormone produced in the body. Approximately six ounces of beer were consumed the evening before the show as to further inhibit Anti-diuretic hormone in an effort to deplete subcutaneous water. Water was consumed sparingly upon arising the morning of the show to maintain the diuretic effects noted after slumber. A suppository laxative was used the morning of the show in effort to further reduce inter-intestinal volume. Water was consumed as desired approximately an hour or so before the morning prejudging. On the morning of the contest, a total body weight of 226 lbs was recorded from a scale used for competition weigh in. Minor cramping was experienced with virtually no effect upon posing performance. Moderate sweating was noted on stage with little hindrance on appearance. The subject won his weight class and the overall competition, therefore qualifying for national competition. The twelfth period lasted seven days. The day of the period, 150 mg of Winstrol-V was administered. No other administrations of Winstrol-V or any other drug was taken during this period in anticipation of possible drug testing. The physique contest discussed above was on the second day of this period. A loss of 1.4 lbs (-.2 lbs / day) of lean body mass was noted at the end of this period. Little data was recorded the thirteenth period which lasted five days. Approximately the same dietary and exercise modifications used before the last competition were practiced before the national competition. Abstinence from anabolic-androgenic steroids was continued throughout this period lasting up until four days prior to national competition. Defend (Power Distributors, Marina Del Rey, CA) was taken before drug testing as directed by the manufacturer. A "weigh-in" and a "random drug test" was scheduled three days prior to the event. The subject was not selected for testing, but was measured at 230 lbs on the scale used for official weigh in. On the same day, immediately after "weigh-in", 300 mg of Oxymetholone (Anadrol) was consumed throughout the remainder of the day. The following day, 200 mg of Oxymetholone (Anadrol) was consumed, followed by 150 mg the next day. Finally, 50 mg of Oxymetholone (Anadrol) was taken on the day of the show. No body weight was taken on the actual day of the show. Excessive sweating was experienced during prejudging which negatively affected appearance. The subject broke his contest diet soon after the conclusion of the final competition. 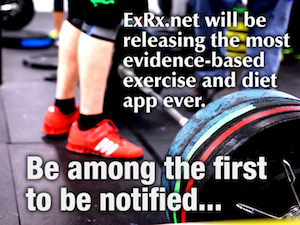 A few days after the nationals, a body weight of 238 lbs was reported.